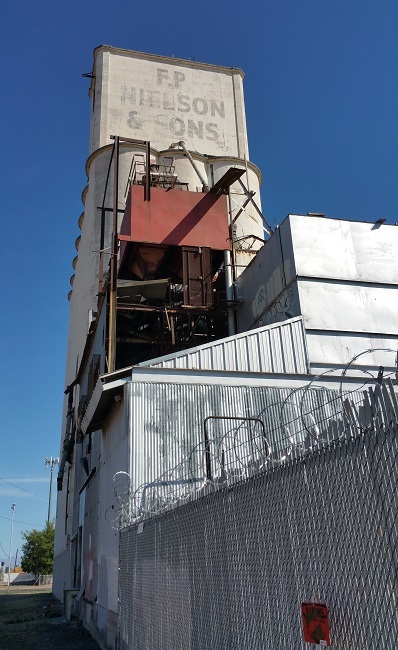 After checking out a few abandoned places in the Phoenix area, I drove down to Mesa to explore an old grain elevator. The cluster of grain silos bearing the faded lettering "F.P. Nielson & Sons" towers above the surrounding area, looking very out of place among the more modern buildings. 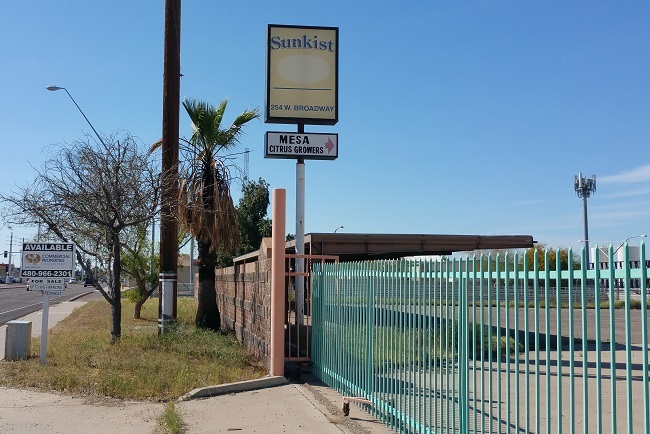 Built in 1938 by Frihoff Peter Nielson, it is a remnant of an era in Mesa's history that has all but faded away. While difficult to imagine based on the city's current appearance, Mesa, Arizona was once the center of major agricultural activity. Farms and ranches spanned the area, producing livestock, various grains, citrus, grapes, and other fruits and vegetables. A stretch of train track still sits alongside the old structure, where freight cars once stopped to be loaded with grain from the silos. 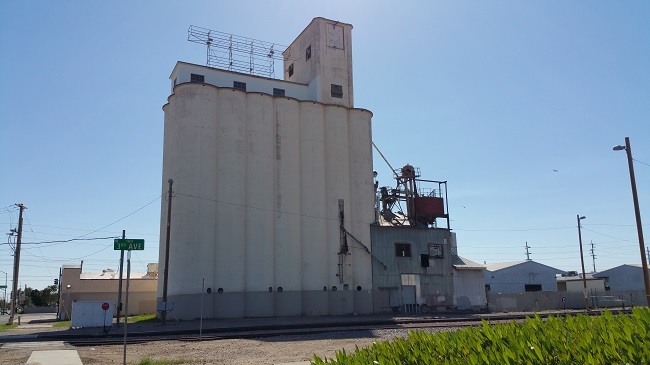 Nielson and his three sons operated the grain elevator for three decades and then sold it to a grain broker from out of state in 1969. In 1975, it closed for good. Housing developments were rapidly replacing Mesa's farmland and agriculture in the area was in its death throes. 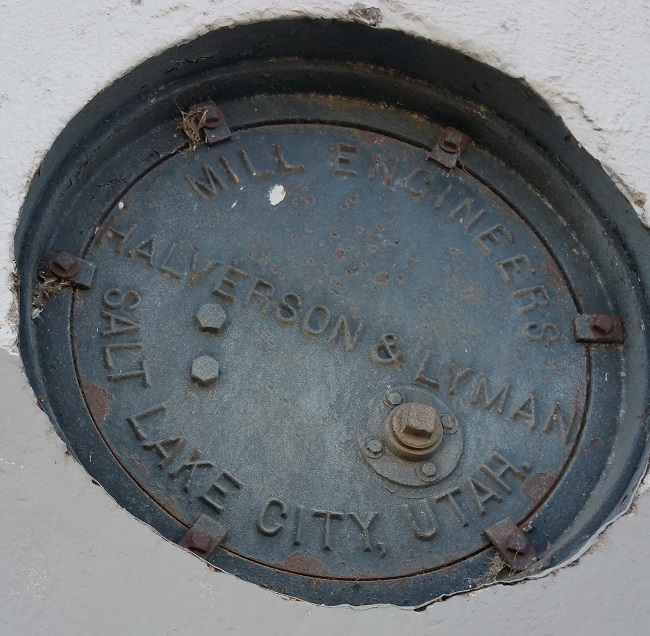 I walked around the towering structure, but it was locked up tightly. After reading several news articles about people falling to their deaths while exploring silos, I can understand why the owners keep it sealed up. 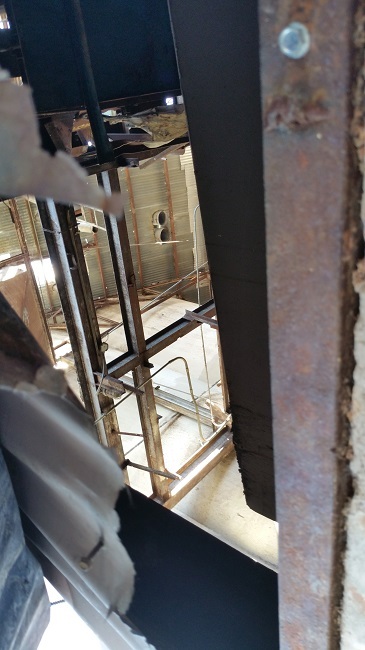 A peek inside the main building through a hole in the wall. While snapping photos of F.P. 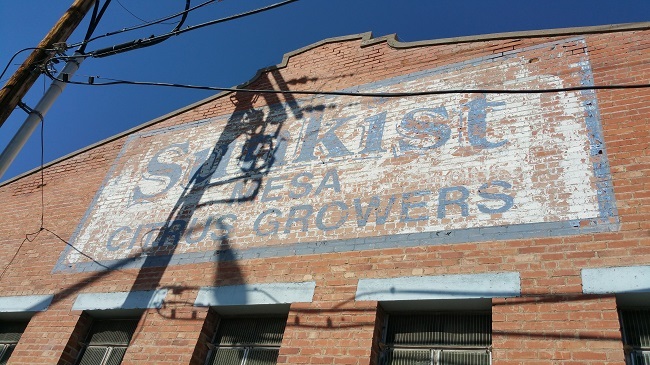 Nielson and Sons, I noticed that the neighboring structure, a Sunkist packing plant, was also vacant. 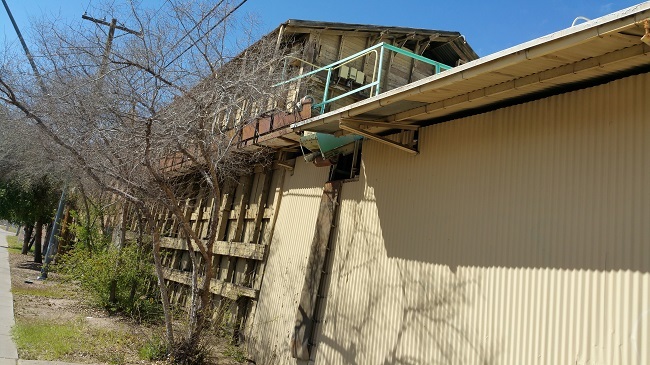 The citrus-packing plant was built in the 1930s and was cooperatively owned by citrus growers who wold their produce under the Sunkist brand. The facility was expanded several times in the '70s and '90s. In 1996 the plant processed 1.4 million cartons of Sunkist products, its highest ever. But since then, the number of cartons dropped steeply to only 200,000 in 2009. 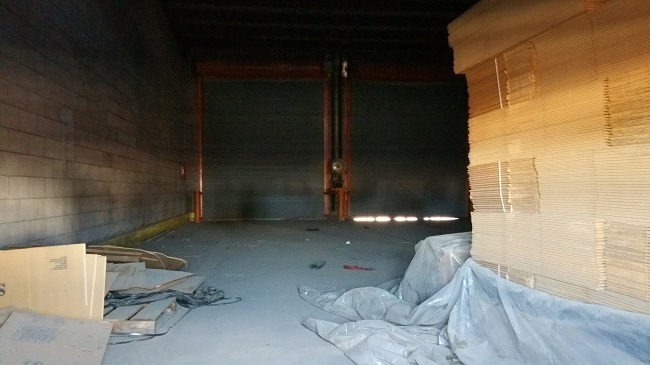 The facility closed in 2010 as the number of orchards in the area dropped and crop prices did no increase enough to compensate for rising production costs. For decades, groves have been disappearing from the landscape, sold off to real estate developers and replaced by subdivisions. In a region that once contained 17 citrus packing plants, the number fell to 0 with the closure of Sunkist in 2010. The 20 remaining citrus farms in Mesa now must ship their produce to packaging plants in Yuma or California, or sell their goods at local farmers markets. 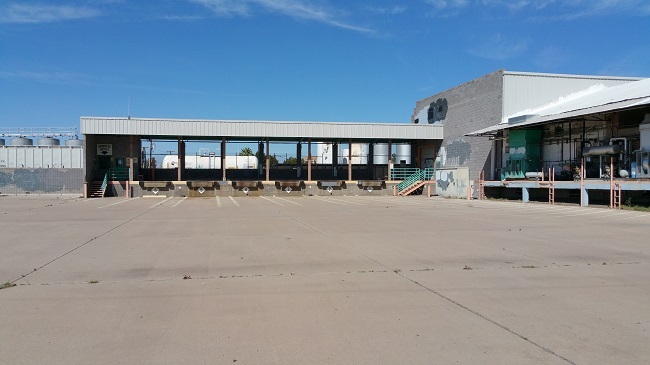 The good news is the Sunkist plant will not sit empty for much longer. 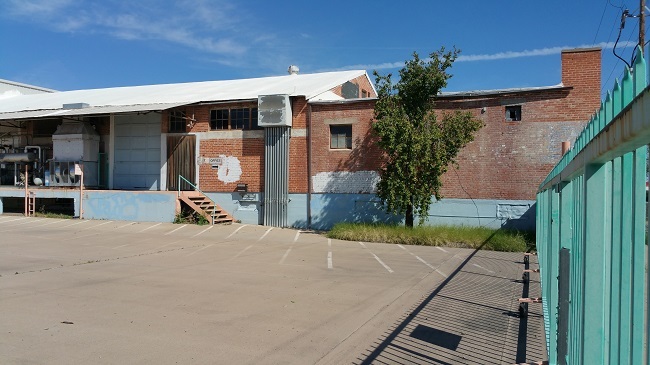 Autoline Industries, an auto parts manufacturer, plans to invest $3.8M to renovate the facility into a manufacturing plant and corporate headquarters. The project is expected to create 80 new jobs over the next five years. 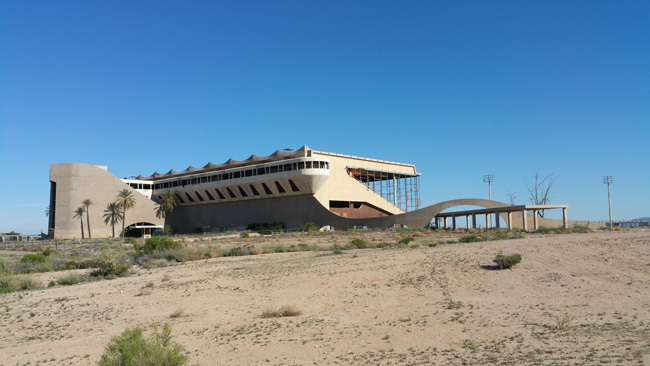 Next week I'll tell you about my misadventure at an abandoned airport.